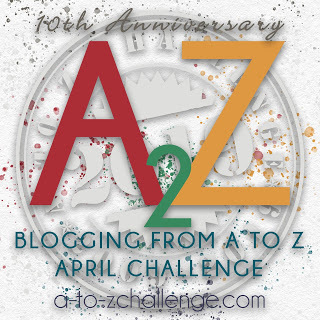 Lynda Grace An Hour Away: Ouija, What Does My Future Hold? We watched the final episode of the season of Downton Abby. A running theme through out the show involves a Ouija board. The game is played below stairs by the servants, of course. I am sure I must have played with one of these talking boards at some time in my youth. What would my young self have asked Ouija to predict about her future? I don't think I thought about being healthy, wealthy and wise. The questions probably were something along the lines of who I would marry and how many children I would have. If I knew then what I know now...yep I said it. We had Sunday dinner with my Aunt Dee today. As my cousin, Marilyn, and I were looking at some old photos, she made a few interesting observations. First, she commented that lately, the family only seems to see each other on special occasions. Second, she said that since we are all getting older, it seems as though these occasions are more frequently sad ones, rather than happy ones. She also noted that she doesn't recognize changes in the appearances of the members of our family who are of the same generation as she is until she looks at photos of our younger days. She thought that it had something to do with the fact that we are all aging at the same rate. I'm sure she said something about present company excepted. After dinner today, we were all sitting around talking. As my gaze settled on my Aunt Dee, I recognized a familiar aura. Lines of sadness were etched in her face. The quickness in her step was gone. Her movements were slow and robotic. She seemed lost. Her eyes had an empty look. The first time I remember seeing that look was after my father died. It was the look my mother had. The look of grief. I suddenly realized that the experienced eyes of the people in my life are my true Ouija boards. When I googled Ouija Board I found the Museum of Talking Boards. 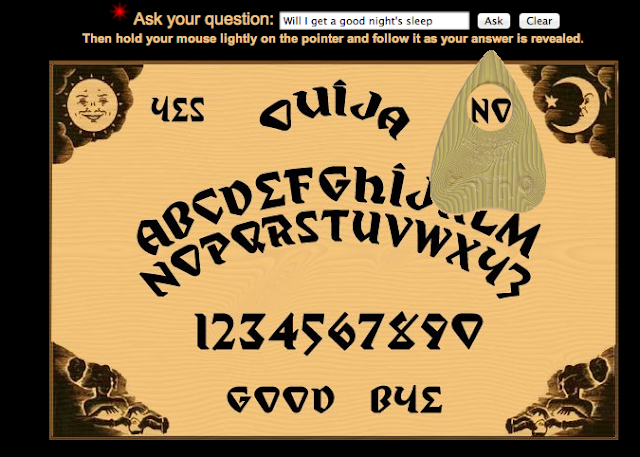 Besides tons of information about talking boards, there is an interactive Ouija board that you can play online. I couldn't help it I had to give it a try. So I asked "Ouija, will I get a good night's sleep?" So if I don't get a good night's sleep, would that mean that Ouija was right? Or will it have something to do with the power of suggestion? Home all day. Cold worse. Ethel H. and sister came to visit at night. Jewel came and Rick. Played bridge. Frances G. came unexpected. Served strawberry short cake. Silly talking board; what does HE know? I appreciate the metaphor. I had a similar experience yesterday, Lynda... conversations with a younger self. I do wonder how my life might have been different if I knew then what I know now. But take that out a few years - what will I be saying about my life now in another 15 years? Sometimes, for a silly example, when I get discouraged about the impact time has had on my body, I think about the beauty of youth. The sad thing is that I couldn't see it then. Maybe someday I will be looking back at this time and place and be discouraged b/c I didn't see something now that I can see from the future vantage point. and did you have a good night's sleep? Ouija boards were a slumber party thing, and I was mostly not a slumber party type of girl. I am curious about whether you got a good night's sleep or not, though. I love the eyes/Ouija connection.